In January 2016 in Newport Oregon, Youth Add Value™ Initiative in conjunction with IChange Nations™ hosted an honorary event for Lincoln County award recipients. 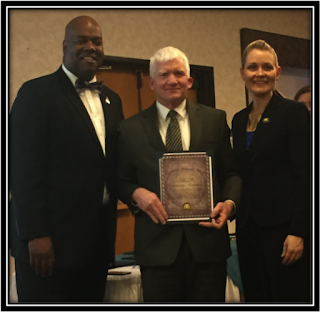 Chief Deputy District Attorney Jerry Hupp received the IChange Nations™ Community Ambassador Award. Hupp’s life has steadily represents his care for his community and mankind. He has spent the last 15 years of his career seeking justice for victims of sexual crimes and crimes against children. Chief Deputy Hupp says, “This type of case is very difficult to prove and can be heart-wrenching.” He constantly sees children being victimized by crime at work, and seeing first-hand the effects abuse can have on children. He and his wife recognized there is hope for these children available with some consistent parenting. It was sobering and spurred he and his wife to become Foster Parents to make a difference in a few young lives.